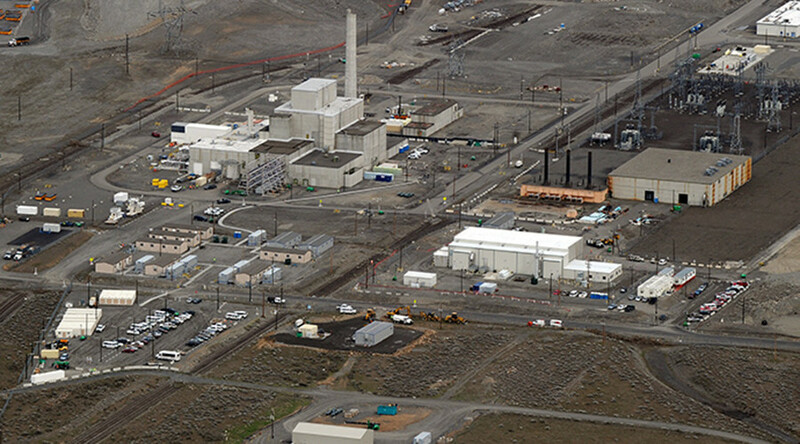 One former worker at the Hanford Nuclear Reservation in Washington state was crippled by the toxic vapors from the radioactive waste tanks, while 42 current employees have requested evaluations for exposure. The Hanford nuclear site holds 56 million gallons of radioactive waste, stored in underground tanks built between the 1940s and 1970s. The waste is left over from the past processing of plutonium used in the US nuclear weapons program, beginning with the Manhattan Project. Last year, Hanford was moving radioactive waste from single-shelled tanks into double-shelled ones, which are supposed to be safer. Before getting sick, Ellingsworth was working on renovating his house and was an active outdoorsman. “Now for six months it is just like this… I can’t do anything,” he told RT. “I had a hard time walking. Even walking across the room I was running out of breath. As it progressed for a couple of months, I pretty much sat in my chair over there… and I lay in my bed, and thought I was dying,” Ellingsworth said. His life now revolves around taking pills. “I wake up. I take the nebulizer. I take my Tudorza (long-term inhaler for chronic obstructive pulmonary disease), I take my Prednisone (a steroid), I take my Zafirlukast (to treat chronic asthma), I take my Aerospan (treatment for asthma) four times, and I hope that it helps,” he said. Officials at Hanford say that 42 workers were evaluated for vapor exposure after a tank reportedly leaked several thousand gallons of radioactive waste. In total, 31 people have reported symptoms, while 11 requested evaluations as a precaution. All have been cleared to return to work. Apart from the potential dangers of working around radioactive waste, a lack of safety measures like masks also presents a hazard. Senator Ron Wyden (D-Oregon) and Washington state Attorney General Bob Ferguson visited Hanford on Thursday and spoke to US Department of Energy officials. Ferguson told reporters that he is exploring more legal options to better protect Hanford workers from chemical vapors and plans to meet with Hanford workers later this week. He had already filed a lawsuit last year. Senator Wyden said he needed more time to study the issue and think about what he had heard. Despite the federal government spending $19 billion over 20 years, “not one single gallon of high-level radioactive waste has been treated,” he said. An additional five workers were evaluated by medical professionals on Wednesday as a precautionary measure due to reported odors or symptoms such as headaches, according to the Tri-City Herald. Doctors at a medical clinic had already evaluated four others on Tuesday. Statistics on how many workers have been injured at Hanford over the years are lacking, but those who used to work there claim that vapor incidents happen all the time when radioactive waste is being transported between tanks. Ellingsworth said he is afraid to file a claim. “Because a lot of doctors around here won’t see you if you have a claim. I heard too many stories of people who got sick, got a claim, had to fight over getting benefits just to see the doctor and they weren’t getting treatment. I just want to get treatment,” said Ellingsworth.